Vote for Churchill's Pub in this year's reader's poll! 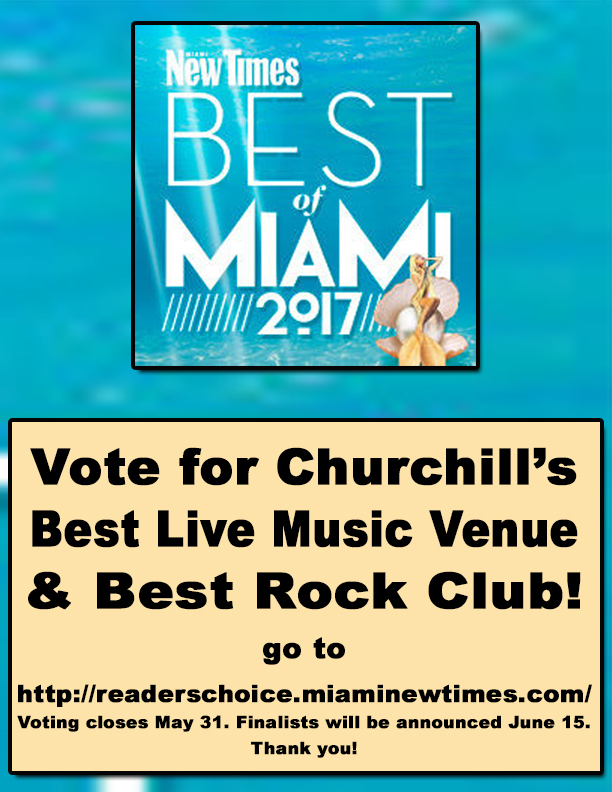 Head over to http://readerschoice.miaminewtimes.com/ and vote for Churchills pub in these 2 categories: Best Rock Club & Best Live Music Venue! Thank you!